2017 proved to be a revolutionary year for the cryptoasset markets. The market value of all cryptoassets combined grew to more than $600 billion by the end of the year and to $800 billion in January 2018, up from just $15 billion in January 2017. Markets have softened since, with a significant decrease in prices. While this turnaround presents new investors with an intriguing opportunity to enter the market, many remain hesitant, often due to falsehoods they hear from friends, family and even the media and especially because a lot of new tokens that are being promoted and sold have no legal backing behind them. The average investor who invested in the beginning of 2017 would have generated about 600% and 2000% return from bitcoin and ethereum, respectively. The same investor would have lost at least 60% and 85% of her investment value into the same had she invested in them at the beginning of 2018. One must note that we have used the term crypto-assets instead of just cryptocurrencies. 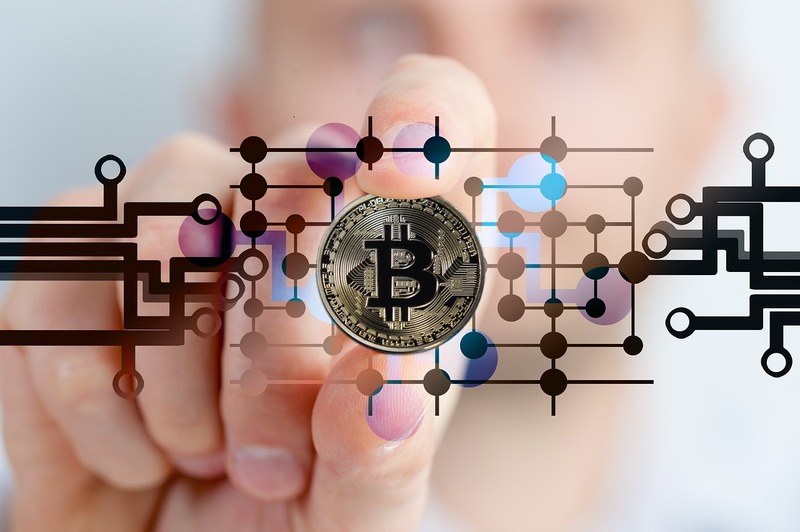 We often see the terms cryptocurrencies and cryptoassets used interchangeably, confusing new users and regulators and stifling the discussion on the future of these assets. Terms used in the crypto-sphere are often easily muddled and people tend to use words interchangeably without knowing the difference between them. This is especially true of crypto-assets and cryptocurrencies. Policy-makers, financial institutions and regulatory authorities prefer crypto-assets, a term which encompasses a wider ecosystem. When put simply, a cryptocurrency is just one type of crypto-asset. The special technology that powers most of these cryptographic applications is blockchain technology. More specifically, a cryptoasset is a digital asset that operates within a peer-to-peer network governed by a consensus mechanism which is controlled by a public key infrastructure. The rules governing the system are verified by network participants; this can verify the entire transaction history of the shared ledger. Crypto-assets have the power to facilitate the decentralisation of industries, removing the middlemen through the use of cryptography and peer to peer networking and in turn reducing costs. Whether you’re making payments, file sharing or using the internet of things (IoT), you usually need a crypto-asset to make it happen. Cryptocurrencies are the most well-known type of crypto-assets. Examples include Bitcoin, Litecoin and Dash. These were created to act as a decentralised alternative to fiat currency which could be easily transacted across the world. Their value fluctuates based on the forces of demand and supply, much like traditional fiat currencies. Cryptocurrencies exhibit the properties of money. Cryptocommodities act as platforms for the development of other decentralised projects. The largest platform token is Ethereum. Other examples include NEO and EOS. Ethereum’s decentralised platform provides a hardware and software base for the development of decentralised applications (dApps). The introduction of smart contracts allows new projects to be built upon the Ethereum platform and specify their own self-executing smart contracts on the blockchain. Cryptocommodities represent coins or tokens designed to offer a scarce digital resource: an exchange of information which has a core non-monetary function. Cryptotokens typically refer to the crypto assets which are needed for the use or monetisation of a decentralised application. Cryptotokens typically do not operate on their own blockchain. Instead, they are built on top of a crypto commodity’s blockchain. They are in the earliest stage of development, and will likely be the last to gain traction as they require a robust cryptocurrency and crypto commodity infrastructure to be built before they can reliably function. Customisation to a particular industry reduces the potential for a given cryptotoken to be seen as a unit of account. Hence, they tend not to exhibit money-like qualities to be considered as cryptocurrencies. The value of these tokens is usually based on their expected use in the project for which they were intended. Exchange tokens – which are often referred to as ‘cryptocurrencies’ such as Bitcoin, Litecoin and equivalents. They utilise a DLT platform and are not issued or backed by a central authority. They are used as a means of exchange or for investment and do not provide the types of rights or access provided by security or utility tokens. Security tokens – which amount to a ‘specified investment’ as set out in the Financial Services and Markets Act (2000) (Regulated Activities) Order (RAO). These may provide rights such as ownership, repayment of a specific sum of money, or entitlement to a share in future profits. They may also be transferable securities or financial instruments under the EU’s Markets in Financial Instruments Directive II (MiFID II). In terms of their economic function, the tokens are analogous to equities, bonds or derivatives. Utility tokens – which can be redeemed for access to a specific product or service that is typically provided using a DLT platform. In other words, they are intended to provide digital access to an application or service. A new fundraising method that emerged as a result of blockchain is Initial Coin Offering (ICO) and Security Token Offering (STOs), where a company creates a new product with an associated utility or security and wants to build an ecosystem of stakeholders upfront who will benefit from purchasing the product early. This token sale enables the company to further develop their product with an established user base and allows it to use some of the proceeds to build the product. As part of this fundraising, the token issuing company sells either utility or security tokens to the public in return for their investment. We have a separate document that deals specifically with token sales which will be coming soon. Stay in touch for further details! To the help guide that we have put together for investors, click here.